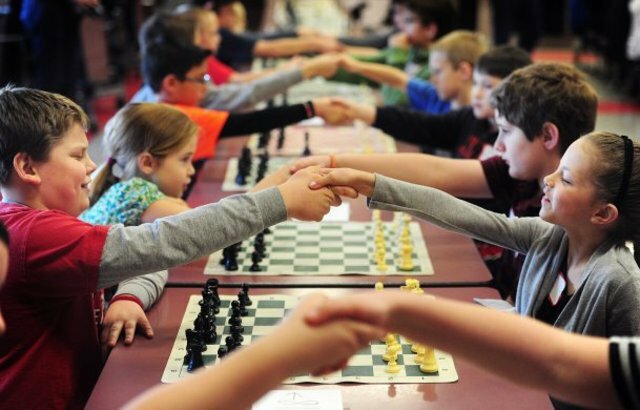 Several times each semester we hold rated and non-rated scholastic chess quad tournaments for kids in grades K to 12. Quad tournaments are a fun way for children to begin the process of competing or a way to stay sharp between full tournaments. Children are grouped in quads (with 3 other children) and play against all the kids in their quad. Although our tournaments are open to both rated (which means we send the results to the US Chess Federation (USCF)), and non-rated players, we highly encourage everyone to become a USCF member. We can help with the registration process and this ensures your children get credit for their participation in this wonderful chess journey.